How can a creature so terrible for my garden be so beautifully made, yet make me shudder with the ooglieness of it at the same time? Ugh. 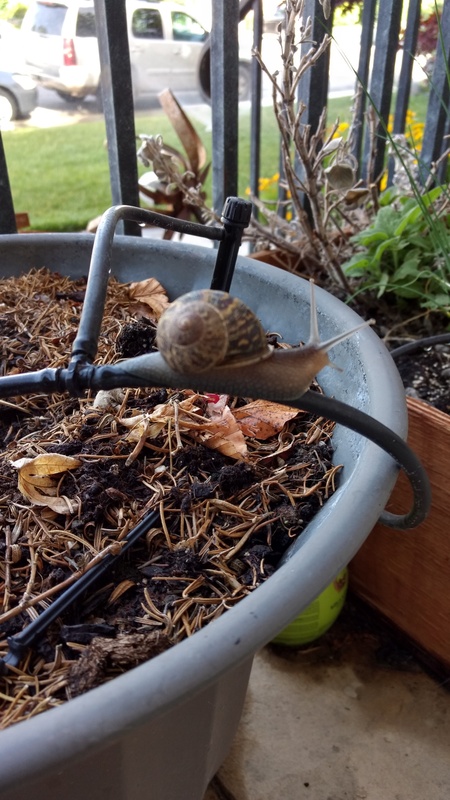 Go away snails! I love these verses in Alma 32. I’ve read them so many times, but it always surprises me when I sit down to write my thoughts about them, how Heavenly Father shows me some new way that he wants me to exercise faith. Today I learned about how faith can help me deal with procrastination. I love how God is good! I appreciate Alma’s words here. Faith. I don’t need to have a full knowledge about an aspect of God or principle of the gospel. All I have to have is HOPE that the things he’s taught me (through the scriptures, or those called as God’s servants) are true. But it needs to be enough hope to lead me to act on the principle. One example — prayer. I don’t have to KNOW God will always answer my prayers, I only have to have as much hope that he will answer as it takes for me to actually pray and ask for the help or wisdom I need. God just wants us to believe enough to try his word and he will extend his mercy. We need just enough faith (hope) to listen to his words and then act — to take a baby-step of faith. Sometimes, when doubt makes a sneak-attack on me, it is all I can do to turn to Heavenly Father and say, “I’m confused and I don’t understand. Please help me.” The great thing is that this tiny mustard seed of faith is enough. I don’t have to have an entire oak tree of faith. All I need is enough of a desire to believe — to hope — that I will take a step.